Here’s another sign that the air is starting to come out of the subprime automobile bubble. 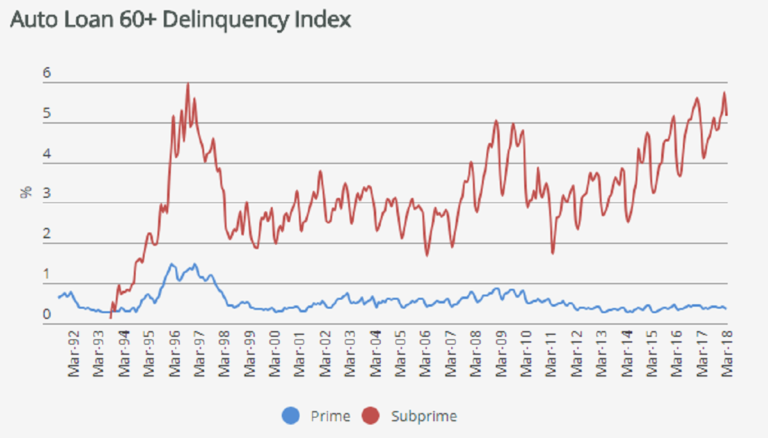 The default rate on subprime auto loans has reached levels higher than we saw during the financial crisis. As a result, lenders are shutting off the easy money spigot. That’s bad news for the auto industry. According to the latest data from Fitch and reported by Bloomberg, the delinquency rate for auto loans more than 60 days past due hit 5.8% in March. That’s the highest level since 1996. The default rate during the peak of the financial crisis came in at around 5%. And this is happening while the economy is supposedly doing great. 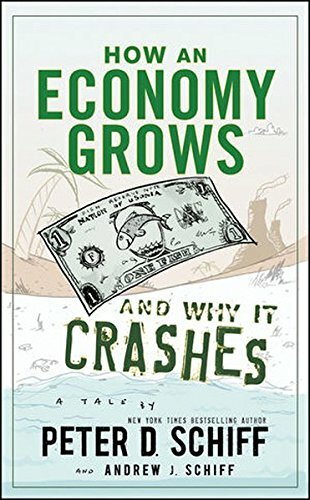 What will delinquency rates look like when the economy goes bad? Meanwhile, the number of auto loans and leases extended to customers with shaky credit has plunged, falling almost 10% from a year earlier in January, according to Equifax. Auto-lease origination to high-risk borrowers decreased by 13.5%.